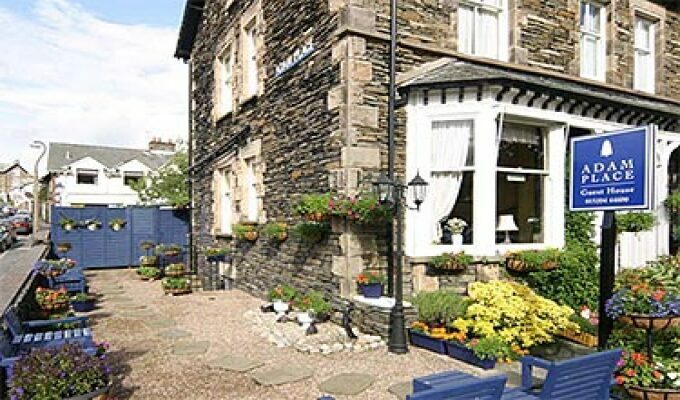 Adam Place is an AA 3 Star, fully en-suite, traditional Lakeland guest house, serving finest local fare with a choice of traditional, vegetarian or continental breakfast. Built in the 19th Century, this Lakeland slate house is an ideal base for exploring the natural beauty of the Lake District. Situated in a quiet location, we are within easy walking distance of the train and bus stations, the Lake and all local amenities.